Looking out my window, there are two black tupelo trees, each rather non-descript and scraggly – not much to look at. 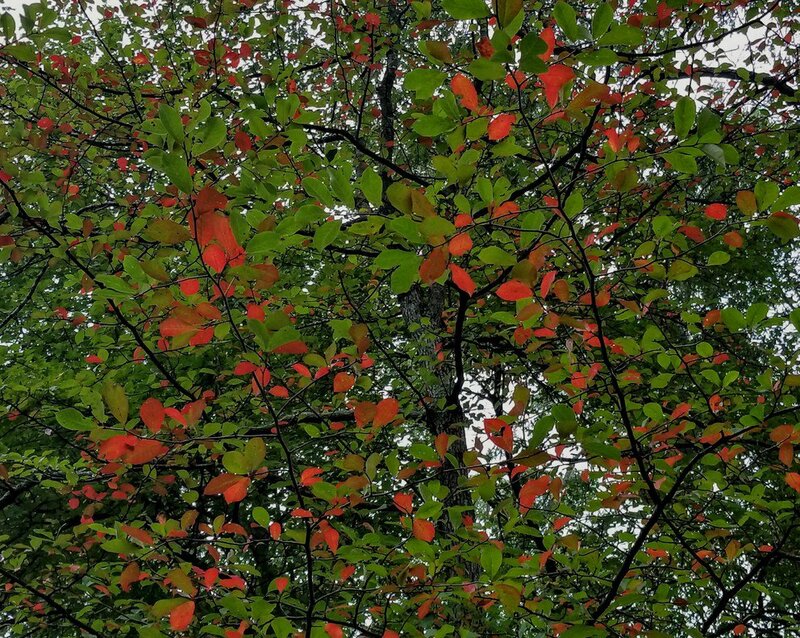 But come the later part of September, these two trees provide a brilliant show of bright red color on branches that seem almost invisible, suspending the foliage in a sort of anti-gravity display. They are the first serious sign of Fall, just before the rest of the yard goes to color. And even though the days are still warm, cold nights and raking leaves are just around the corner. Fall is also the fourth and final quarter of the year for many business owners as they work hard to close out with positive results. This is also the time to plan for the year ahead. And planning means budgeting and a hard look at what expenses may be incurred. One of the more difficult and unpredictable expense items for many businesses is forecasting their legal costs. Any business that consumes legal services will struggle with this line item in their budget – they cannot foresee what matters will emerge during the year and their lawyers are not much help. Typically, the lawyers will not be pinned down to a particular cost because they fear that there are too many issues relating to a matter that will be outside of their control. Most lawyers work strictly on an hourly basis leaving the client to trust that the attorneys will do their best to work efficiently. But there are no real incentives to do so. And the attorneys are reluctant to consider caps or alternative billing that will help their clients plan. Thus, the hourly billing model survives, and businesses continue to struggle to manage their legal costs. Wouldn’t it be better if the lawyers would partner with their clients to develop alternative billing strategies that would allow greater predictability and certainty and create incentives on their providers to work efficiently? This is precisely what I try to accomplish. I offer two services which can help make legal costs more predictable and control expenses. These are fixed fees and retainer agreements. Fixed Fee Agreements. In my fixed fee agreements, I will handle a specific matter or a discrete sub-task at an agreed-upon rate. Typical examples would be drafting and negotiating contracts, handling routine complaints and managing corporate documents. This becomes a win/win for my client and for me. My client now has a predictable cost that can be assigned to each new piece of business for the legal work, and I know exactly what I will be paid for the work performed. Another bonus for me is that my billing is greatly simplified. Retainer Agreements. My retainer agreement is perfect for clients that are frequently needing my advice but who worry that the cost for smaller transactions or day-to-day issues will break the bank or budget. For these clients, I charge a monthly fixed amount that covers all of their ad hoc legal questions and issues, reviewing contracts, resolving routine complaints, and other simple transactions. Clients who are fearful of making a quick phone call to counsel or arranging a small research task need not be concerned over excessive billings. My retainer arrangement is especially useful where I can serve as a liaison between my business partner clients and their outside law firms. I become completely familiar with the inner workings of my client’s business and with that insight, I can then manage and control legal resources on the outside. A busy executive in a smaller company does not have the time, resources or understanding to effectively manage their other attorneys and this relieves them of that burden. If you would like to discuss cost savings on your legal expenses, please contact me either by phone, email or through this web site. And please pass this along if you know someone else who is a regular consumer of legal services.